Time again for some older photos, these ones taken in the summer of 2013. I’d like to say that one of the best types of pictures are those with some sort of conflict within the frame. So naturally Kirino Kousaka and Ruri Gokou from Oreimo (My Little Sister Can’t Be This Cute) suited well for an idea of a Weiβ Schwarz game picture. Since my Kirino figma, with her short temper, also has a shouting face she was pretty much a natural choice anyway. I’ve redone the processing on these since I wasn’t all that happy with them from the first time released. 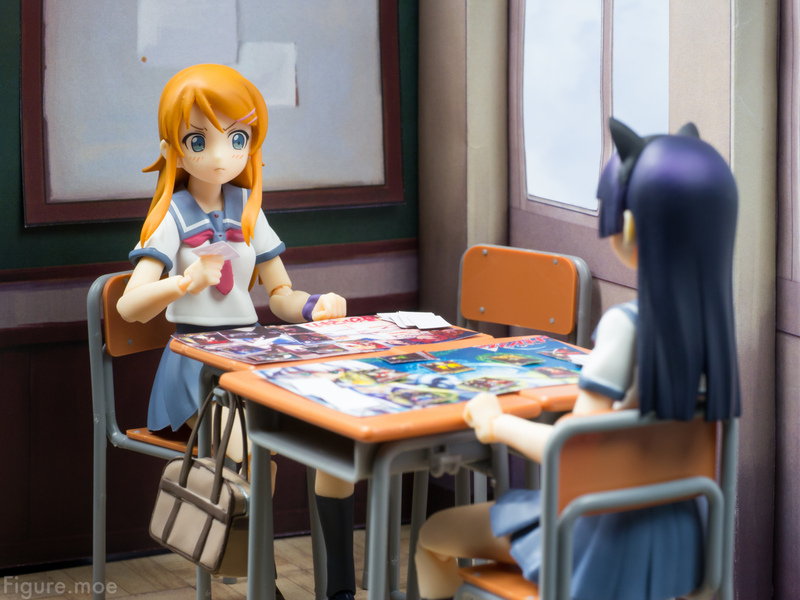 Kirino looks reluctant to play her card knowing that her opponent being a clever rival in many things and that she certainly doesn’t like the idea of loosing to her in anything, not even a game. 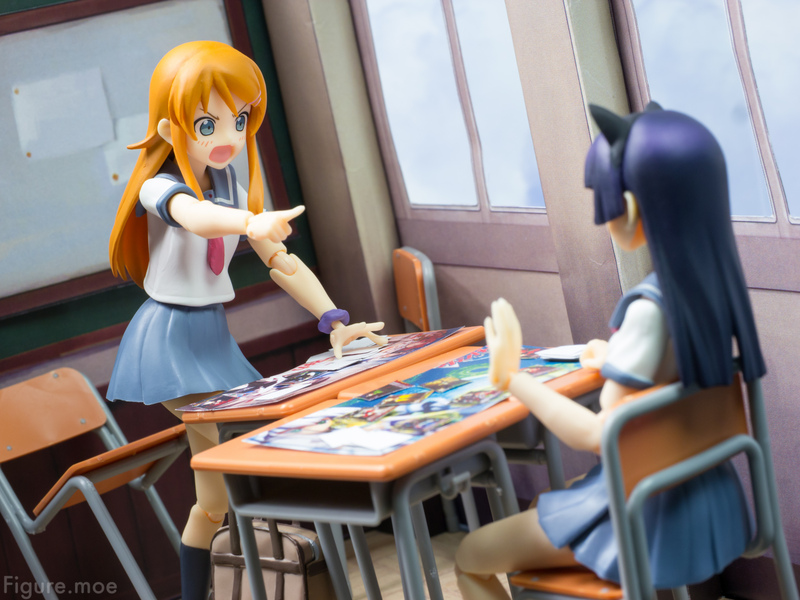 “J’accuse!” Kirino obviously thinks Gokou has been cheating. Gokou looks concerned but mostly happy to piss Kirino off, it seems. The first three pictures are on my first page of my most popular pictures on MyFigureCollection.net. 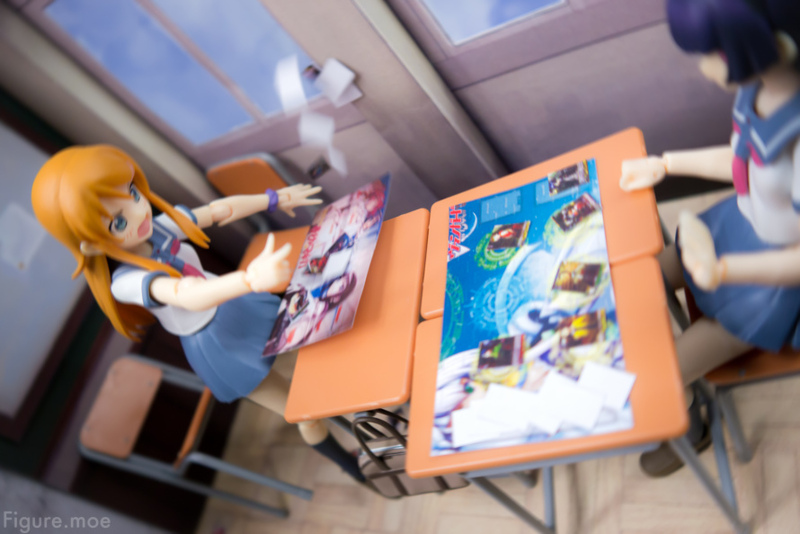 The third, “action” shot was made by simply blowing air with my lungs/mouth at her cards and playmat while snapping lots of photos. However, I had to take about 200 photos to get exactly what I wanted. Some light photoshop effects were added to it as well. 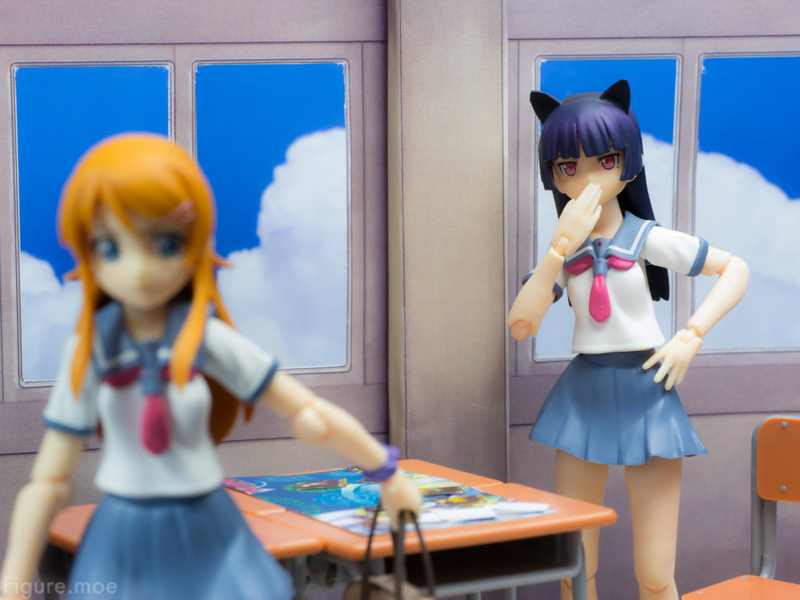 The last shot was taken several days after the first three ones only cause I got a comment about how cute Ruri looked in her cat ears and Ayase’s school uniform.